The U.S. National Park Service classifies altitudes greater than 3,000 feet as montane forest, subalpine and alpine zones. Winters are long and severe; growing seasons are short and cool. Gardeners growing vegetables at these altitudes can improve their chances of success with plants specifically adapted to high altitude growing conditions. Starting early variety vegetables from seed eliminates having to hunt for them at nurseries. Cool-season, hardy vegetables have adapted to life in the short, cool growing seasons of all altitudes above 3,000 feet, according to the University of Idaho's community horticulture specialist Steven L. Love, U of I extension educator Stuart Parkinson and landscape architect Kathy Noble. Vegetables in this category include asparagus, such as Jersey Giant (AM), an early, all-male green asparagus variety with large spears, and chiogga beets, which have exceptionally sweet, striped red-and-white flesh. 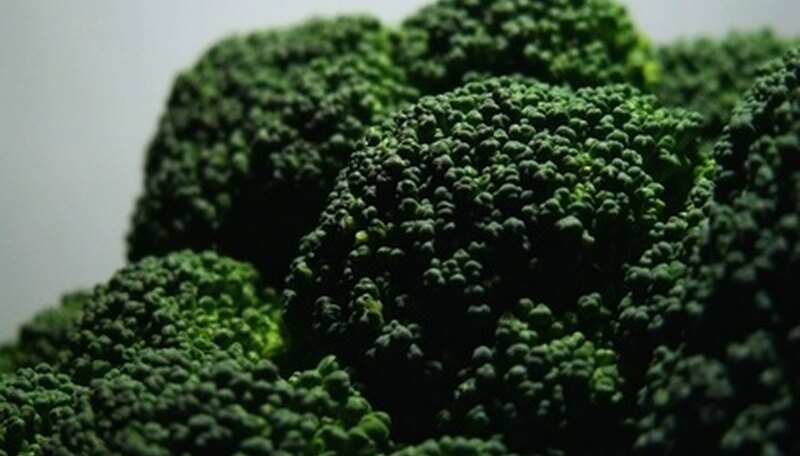 All U.S. broccoli will perform well, with hybrids producing the largest heads. Low-growing brussels sprouts planted a week before the final spring frost date, and any commercial cabbages, orange carrots, cauliflower, kale or collards qualify as cool-season, hardy vegetables. Depending on variety, garden peas, radishes, Swiss chard, turnips and spinach perform well planted from seed two weeks to a month before the final spring frost date. Early-producing, cool-season, tender vegetables can handle altitudes above 3,000 feet with protection from spring frosts. Early bush beans, including Blue Lake Bush, are ready for harvest in less than 60 days. Plant them after all danger of frost is past. Earlivee sweet corn and other varieties with a 10-week-or-less harvest will grow from seed planted a week before the final spring frost, notes to the U of I Extension. Potatoes are a reliable high altitude crop. Planted three weeks before the final spring frost, Red Nordland, Yukon Gold and Russet Norkotah are ready for harvest within 90 days. Autumn frost will damage their foliage. Ill-equipped to survive frost, tender, warm-season vegetables include tomatoes, peppers and cucumbers. Severe frost also damages pumpkin and squash, advises the UI Extension. Planting early types of each--and providing frost protection--is essential. Marketmore 76 cucumbers, Ace sweet peppers and Hungarian Wax hot peppers are good choices. Fourth of July tomatoes are ready for harvest in 49 days. Papaya pear and Waltham butternut are suitable summer and winter squashes. Small, rapidly growing pumpkins like Autumn Gold and Jack Be Nimble usually ripen before frost, according to the UI Extension.